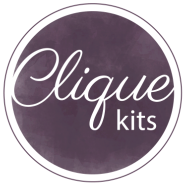 I am thrilled to announce that I am joining the first ever Clique Kits design team for 2014-2015! I am so excited about their awesome kit club! I absolutely love the detail and thought that they put into every aspect of their company. It's truly an honor to be a part of their first team! 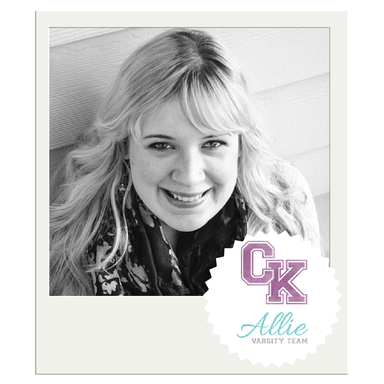 Congratulations, Allie....that is awesome news that you are a part of the Clique Kits Design Team!! 'Looking forward to seeing the goodies you will share!! Big congrats Allie!! So excited to see you joining the Clique Kits team!! Congrats! Looking forward to a fun year designing with you and everyone else on this incredible team! Chickaniddy + Pretzels = FUN! Clique Kits and The Cut Shoppe Blog Hop!